The Queen in leather, love it! Not crazy about the pants or the hair, but the jacket is great. Wow, Letizia looks great. That's how a modern, working woman can look. I love everything here. Wow! I love this! This jacket is everything. I am in love with these trousers. She puts her clothes together so well. Definitely going for the messy bun quite a bit lately. I can’t say I love this outfit. It’s loud and it grabs your attention, for sure, but in the end it leaves a bitter aftertaste of sorts. Hmmm... She has done better leather tops before. ¡¡Qué chaqueta soberbia, yo quiero una!! 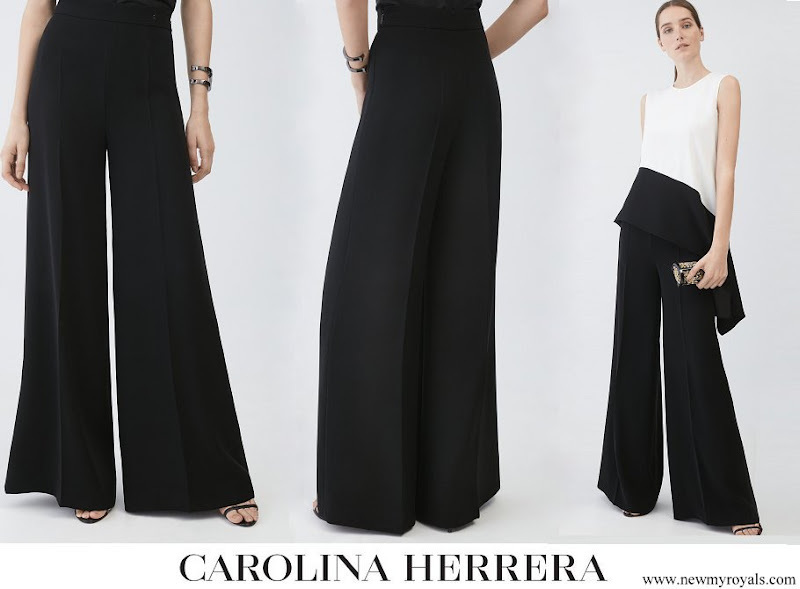 El pantalón palazzo equilibra muy bien las proporciones. Functional outfit and pretty hair and makeup. In motion the outfit is fluid and shows much better, as opposed to when she is standing still and the trousers look like a skirt. This looks like her "mother of the heiress" period. Thank you for the information about this film festival. Fantastic - stylish and slightly edgy but not uncomfortable. Looks good on Letizia and I love the trousers but the semi formal trousers with the casual jacket seem a slightly odd combo. Very chic but the she almost always is. Looking good Q Letizia. Lovely pants! Perfect outfit for the occasion. This is an outfit only Letizia can wear! Cannot make my mind do I like it or not. Not very "royal" outfit IMO. But on other hand her make-up and hair makes her look very extraordinary what I do like. In Spain the rol is more as a First Lady. Every now and the she dresses up as a "Queen", but mainly when she meet other royals. The only way the Monarchy stays here. 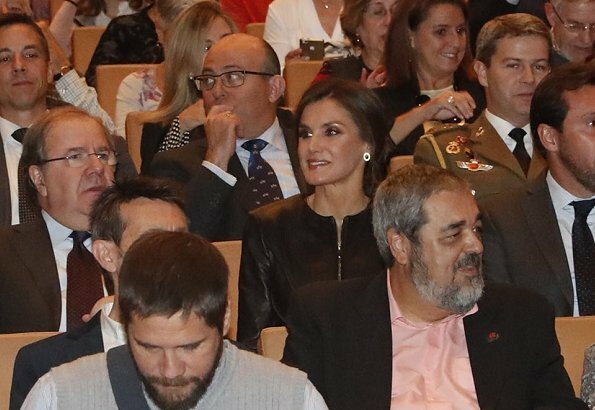 Me gusta mucho Letizia porque siempre me sorprendre gratamente, es atrevida, innova su estilo, la queda estupendamente el conjunto ; lo luce muy bien , me guta epeinado tambien.